Christy Feehan Ross is The Feehan Studios. Christy is Driven by a passion for storytelling through art. Christy Feehan paints using vibrant colors, organic shapes, and unusual imagery. Her style is a blend of abstract expressionism and saturated color, using strong lines and loudly-hued accents. 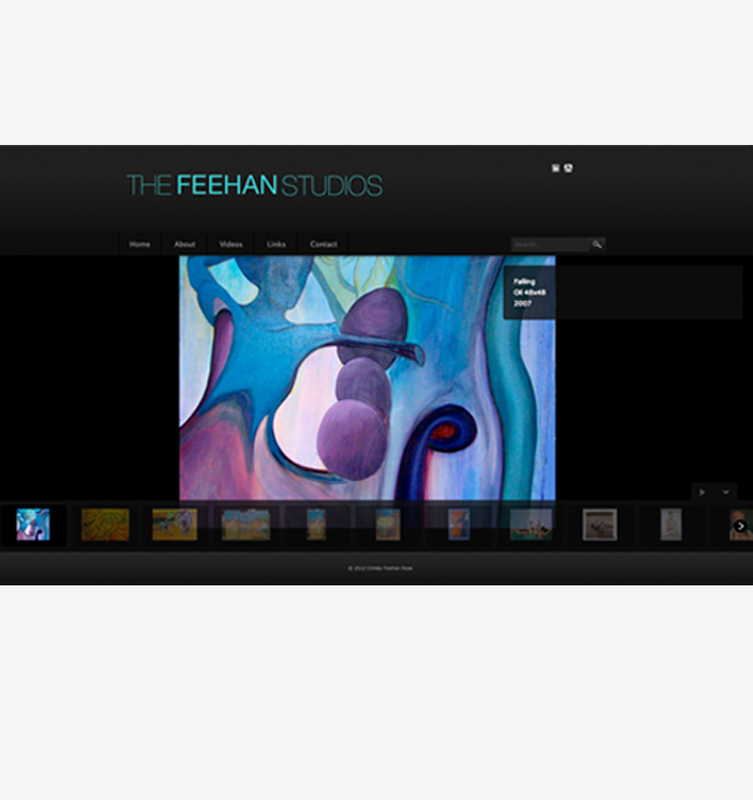 Christy Feehan needed a website to display her paintings in a gallery driven website. In 2009 the first website I created was a very simple 5page site with a gallery and some video. When she needed a new site she returned and asked that I add a full screen look and feel to her new site. The site now has a full screen gallery and displays her work like a professional store gallery.